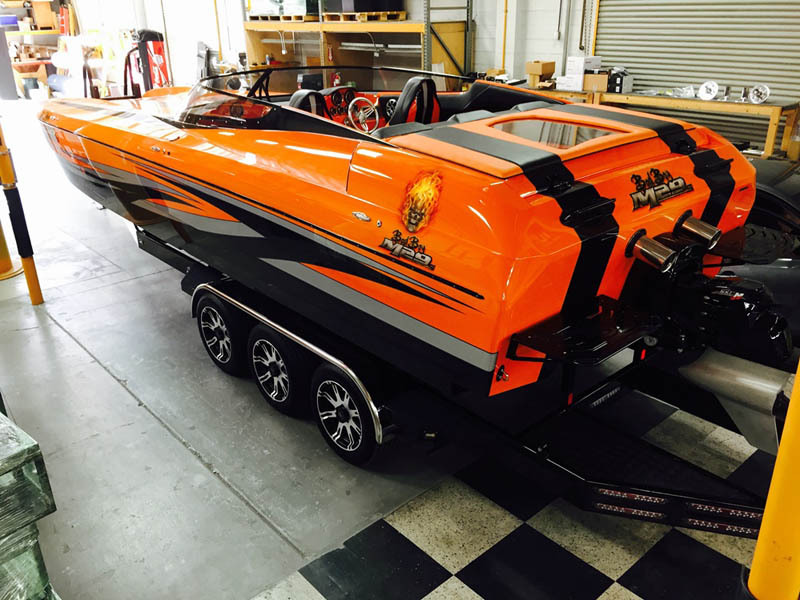 This boat is brand new, owner has never taken delivery. 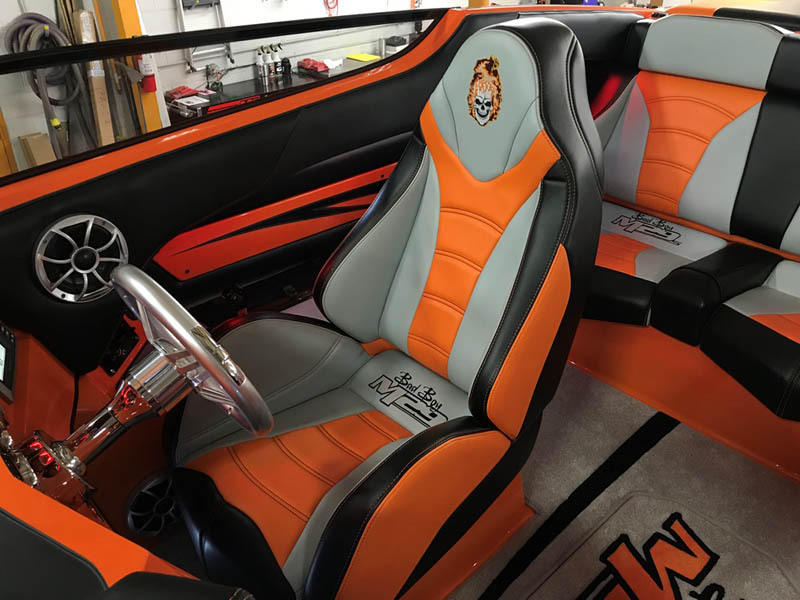 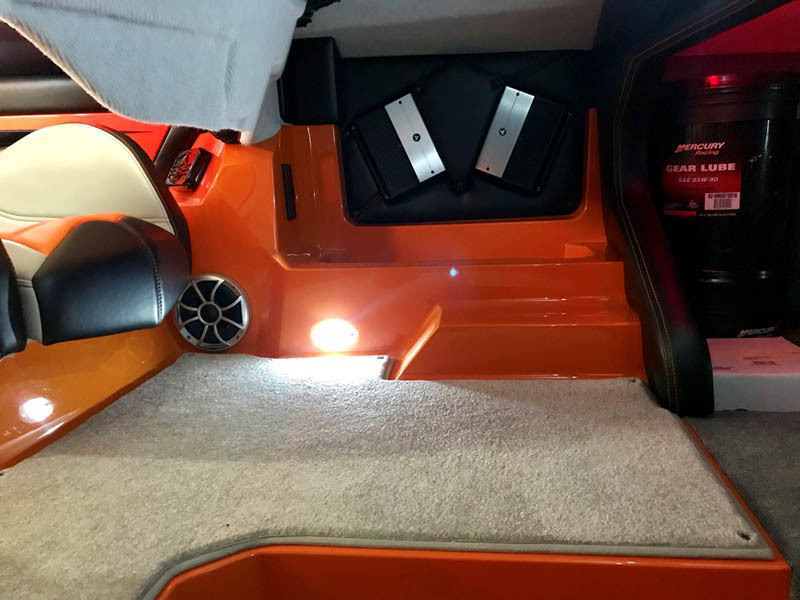 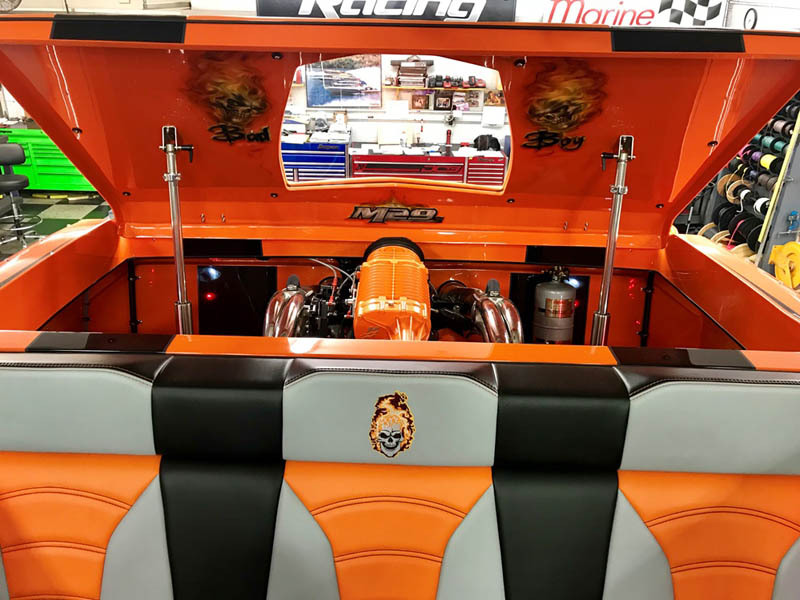 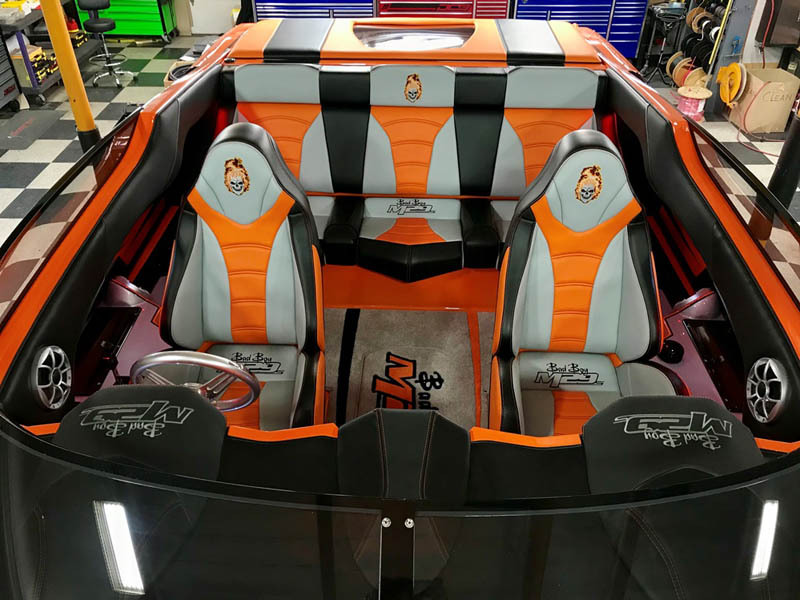 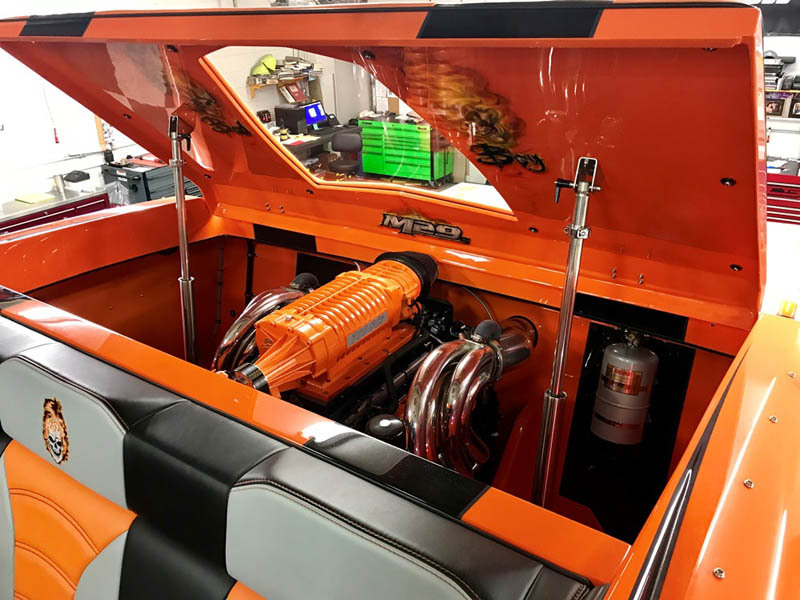 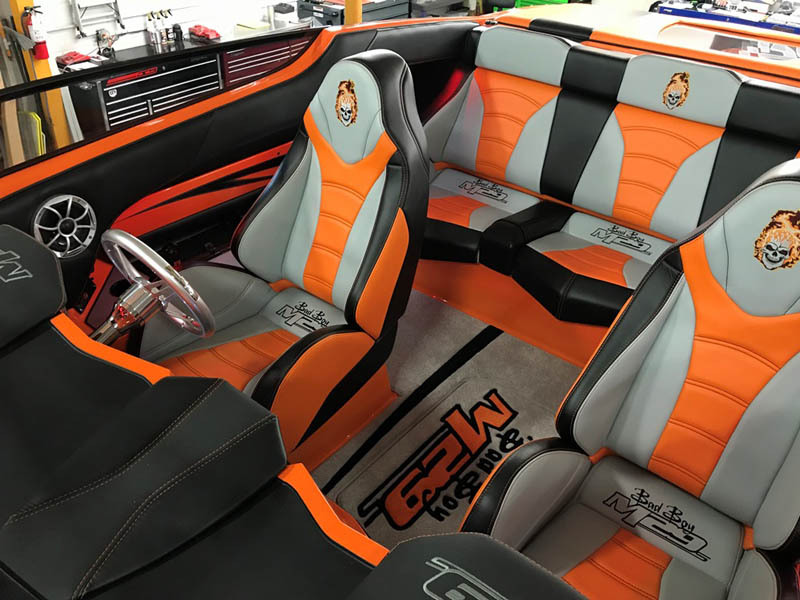 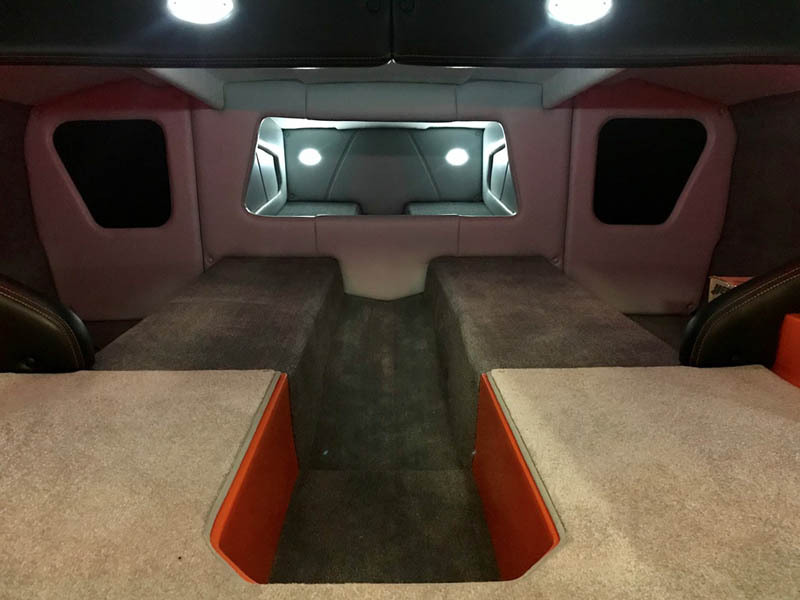 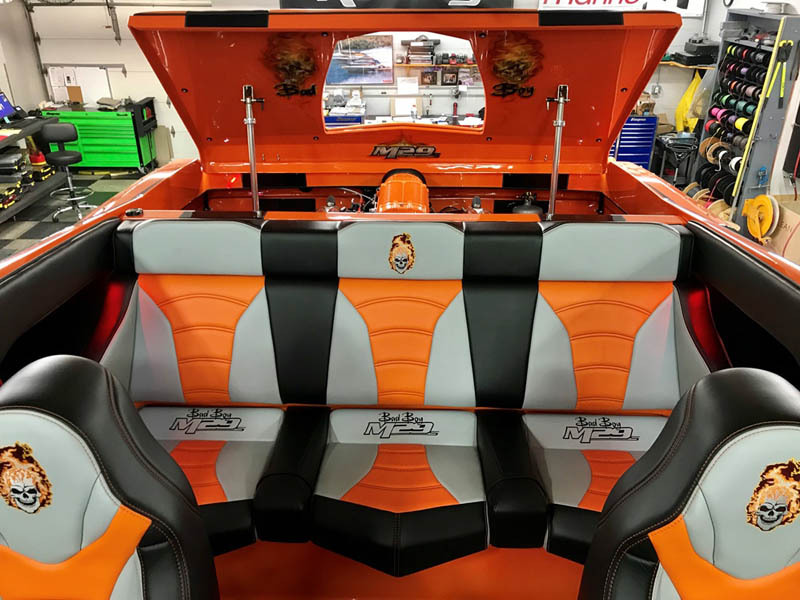 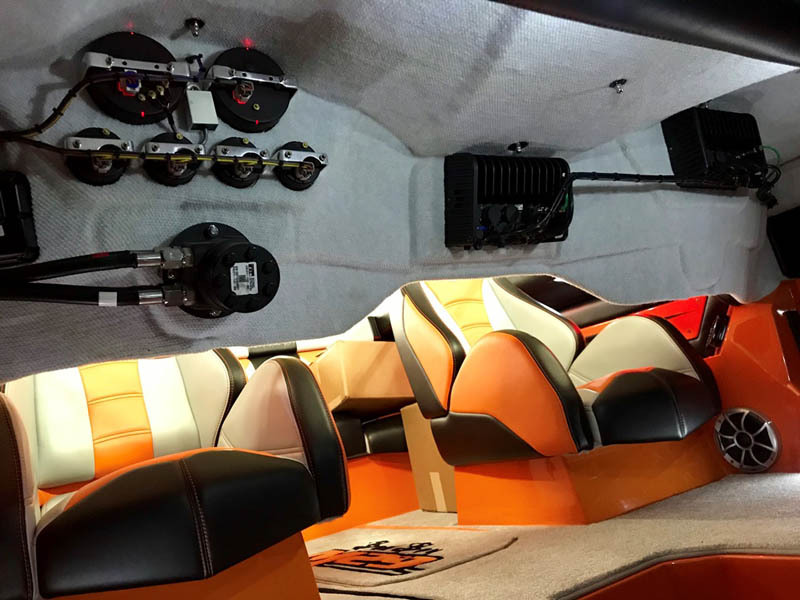 Equipped with a single Mercury Racing 700/NXT combination (1 hour of test time on hose), two (2) Garmin 8″ monitors, Livorsi tach and GPS Speedo with recall, two (2) Garmin GMi20’s on back of headrests, Stage II stereo, custom carpet kit, custom Ultra-leather interior with matching under cuddy, triple axle Extreme Trailer with SS fenders, custom 17″ rims and split drive guard. 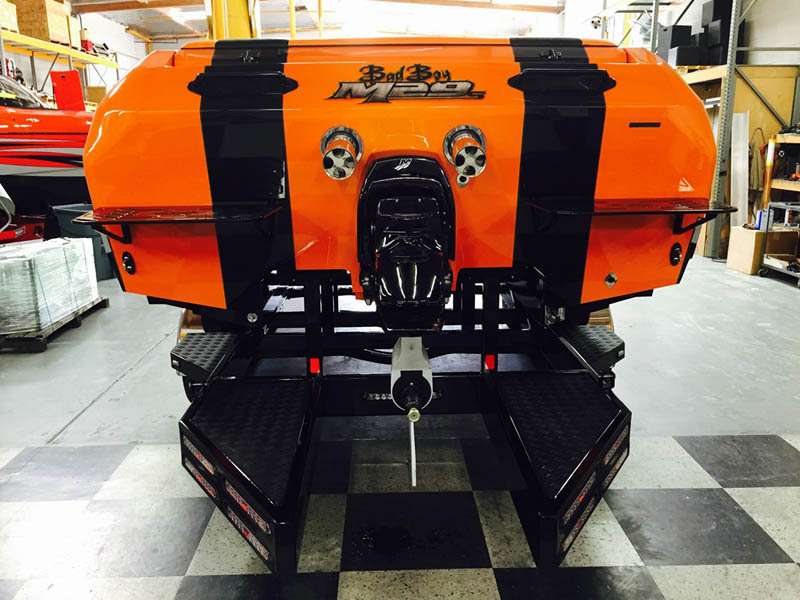 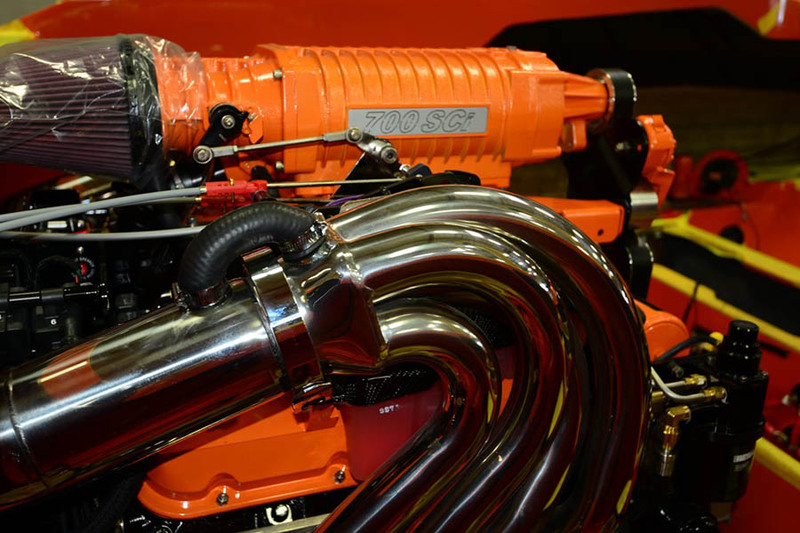 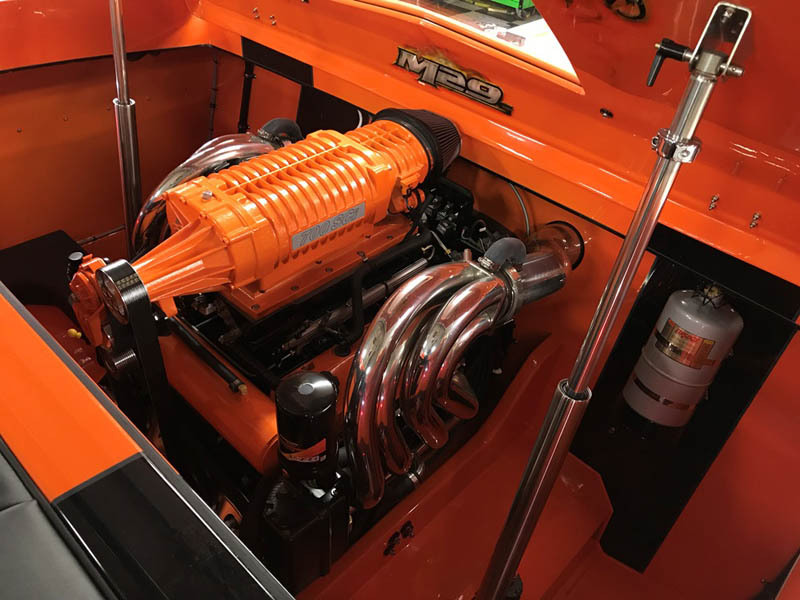 Avoid the 8-10 month delivery time, this boat is ready to take immediate delivery.